This is so good! 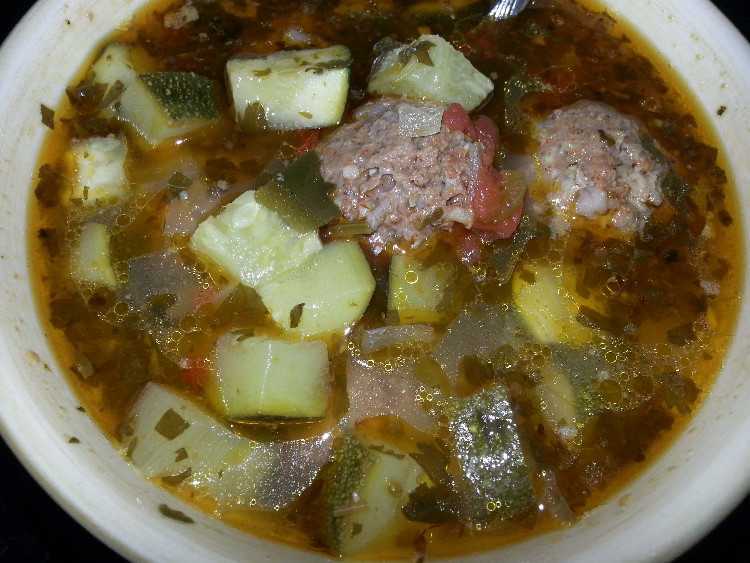 Such a good warm you up soup for those cold days, but also good anytime! 1. Combine all of the ingredients for the meatballs, stir well to combine, cover and refrigerate until ready to use. 2. In a large pot, heat 3 tablespoons of olive oil to medium heat. Add the onions, poblano, and serrano pepper, season lightly with salt and pepper, cook for 3 minutes. Add the garlic and cook for 1 more minute. Add the tomatoes, cilantro, lime juice, and chicken broth. Bring up to a boil. 3. While the soup comes to a boil, crush the oregano, cumin seeds and coriander seeds with a mortar and pestle, add to soup, stir well. 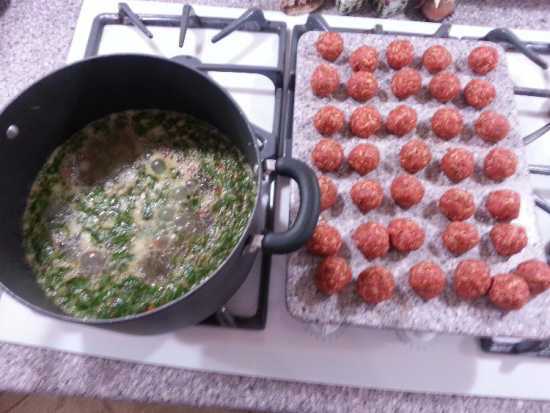 Remove the meatball mix from refrigerator and make 30 small meatball while the soup comes to a boil. When soup is boiling, reduce heat just slightly and carefully drop in the meatballs. Gently stir, reduce heat to a simmer and cook for 30 to 35 minutes. 4. Add the zucchini the last 10 to 15 minutes of cooking time. Taste for salt. Garnish soup with lime wedges, green onions and more fresh cilantro.